Reindeer, also known as “caribou,” are large mammals native to the northern polar regions of the world. These cold-weather members of the deer, or Cervidae, family are famous for their association with Santa Claus. While their magic-enabled counterparts may soar through the sky to aid Saint Nick, the rest of the caribou are very much ground dwellers. Read on to learn about the reindeer. Reindeer (caribou) fur ranges widely in color, based on the subspecies in question. Some fur can be nearly white, while other subspecies have fur that is quite dark. Because caribou live in incredibly cold habitats, they sport an insulated double coat. This coat has long, hollow guard hairs, as well as shorter soft under-fur to keep the animal warm. They also frequently sport large antlers, and, generally speaking, larger and older deer have larger and heavier antlers. Despite their inability to fly, reindeer are actually quite intriguing creatures. They have a number of different characteristics that make them unique among other deer, and are incredible survivors. Antlers Aren’t Just For the Boys – Both male and female caribou regularly possess antlers. This trait is unique among members of the Cervidae (deer) family. The percentage of female reindeer in a given population that have antlers varies by subspecies. 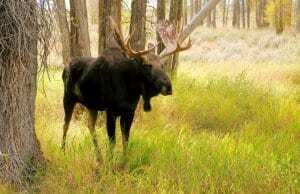 Females still generally have smaller antlers than males. Stupendous Size – Male caribou can have impressively large antlers. 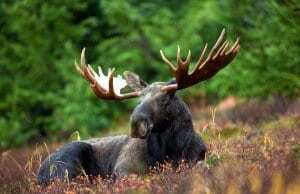 Depending on the location and the subspecies, some can grow antlers that are second in size only to those of the moose! Caribou actually have antlers that are the largest in the deer family, relative to body size. 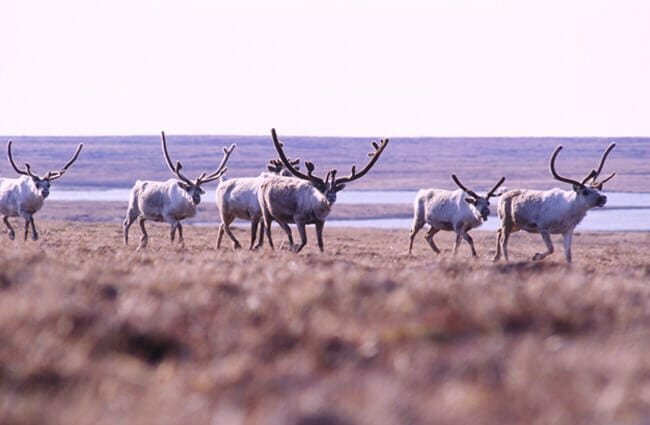 Reindeer vs. Caribou – While the terms “reindeer” and “caribou” both describe the same species, Rangifer tarandus, the names are not usually used interchangeably. In North America, the name most commonly used for these mammals is caribou. In Eurasia, they are almost always referred to as reindeer. Super Herd – When we say these animals are social, we mean they are social! While most of the year caribou live in meager herds of 10 – 100 individuals, the spring is when they really become socialites. These deer will congregate as they travel south in search of food, in groups of 50,000 to 500,000 animals! While these animals are found across the globe in polar regions, they are found in generally one of two types of habitats. Some inhabit vast, open tundra, while others live along the edges and amongst forests. The only forests found in these areas are boreal forests, also known as “taiga,” or “snow” forests. Reindeer used to be found across a much broader range than they currently inhabit. 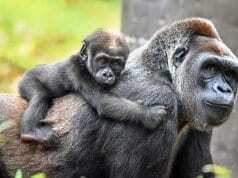 The main change in their distribution has been loss of animals in the southernmost expanses of their previous range. 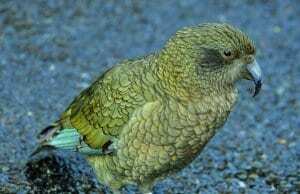 In North America this species used to be present as far south as the northern contiguous United States, from Maine to Washington. In Europe and Asia they used to be found in northern and eastern Europe, Greenland, Russia, Mongolia, and the northern parts of China. 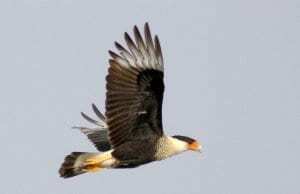 Today they are found in Alaska and Canada in North America, and in Norway, Greenland, Siberia, and Finland. The main food source for reindeer in the winter months is lichen. There is even a species of lichen named after them – the “reindeer lichen.” Lichens are combined creatures that are made up of fungi and algae, living in a symbiotic relationship for survival. These interesting organisms are normally incredibly difficult for animals to digest. Caribou are the only large mammals that are capable of digesting lichens, because they have special bacteria in their gut. 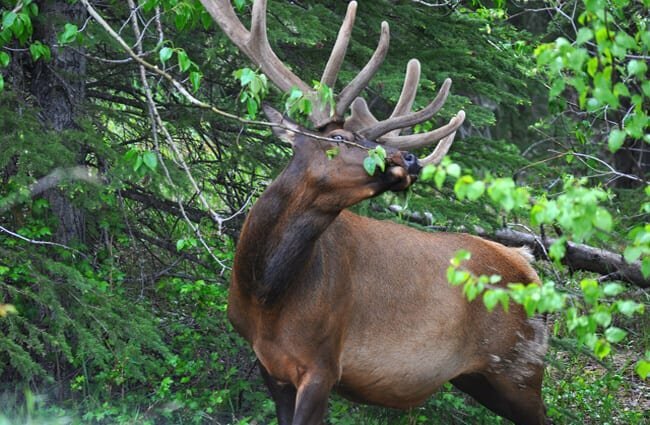 Caribou will also feed on a number of different vegetation types, including leaves, grasses, flowering plants, and mushrooms. These animals have been hunted across their range for centuries. 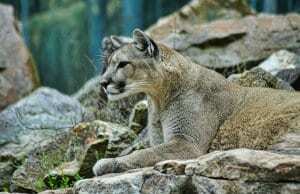 This hunting is causing some decline in population, but the vast majority of the threats to these animals are indirect. Climate change is causing a steady decline in all caribou populations. 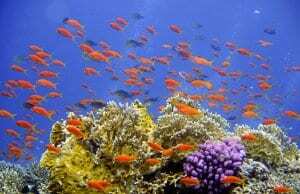 While their numbers are still high, many sub-populations have dwindled and even become extinct. Across their range, climate change causes differences in the weather during important times. 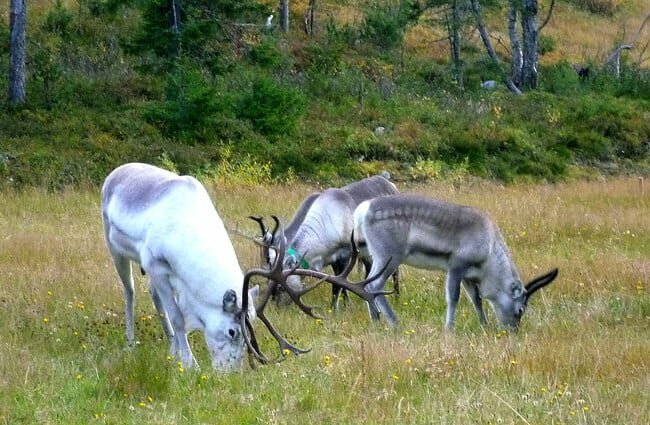 Snow does not melt to allow access to lichens in time for the reindeer to avoid starvation, or there is not enough food available during calving. 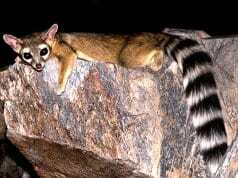 This, combined with hunting, is causing a steady decline in all populations. Reindeer are the only domesticated deer in the world. 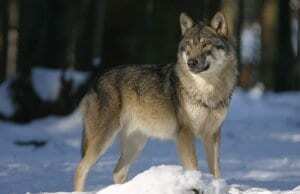 This domestication occurs in Russia, Norway, Finland, and Sweden. 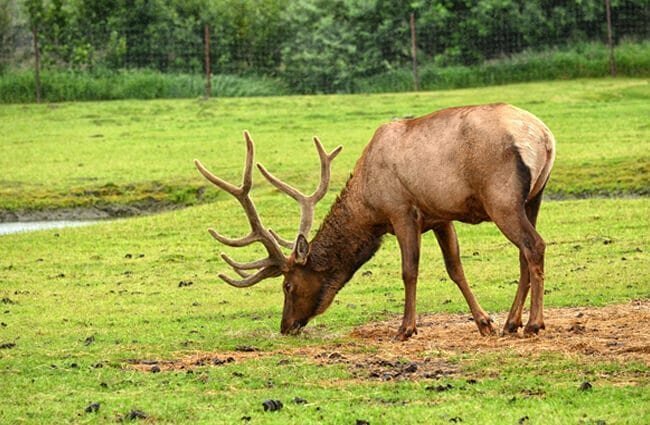 The animals are selectively bred for temperament, meat production, milk production, antler size, and more. They are commonly used to pull sleds or even to ride, and oftentimes become tourist attractions for this reason. Domesticated reindeer have also been introduce to Alaska, and are used as a means of livelihood for the indigenous tribes. 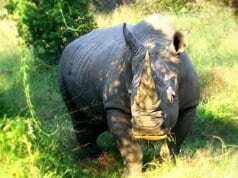 As they have been domesticated, these large animals can make good pets for the right individual. Unfortunately, they can still be quite dangerous, and should not be owned by the average person. 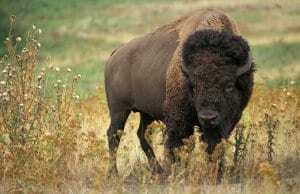 They must be kept in herds because they are social creatures, and they require lots of land for grazing opportunities. These animals require expansive exhibit space, to allow for plenty of grazing and browsing opportunity. They must be kept in herds to keep them happy, as they are quite social. In human care they are fed hay, specially formulated biscuits, and acacia browse. Because they live in such massive herds, it is important for these animals to communicate well. 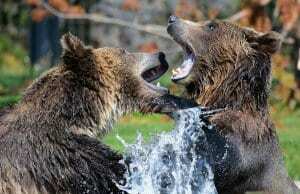 They utilize a variety of sounds to communicate with one another, including snorts, grunts, rumbles, and hoarse calls. Young calves will use a high-pitched bleat to locate and communicate with their mothers. 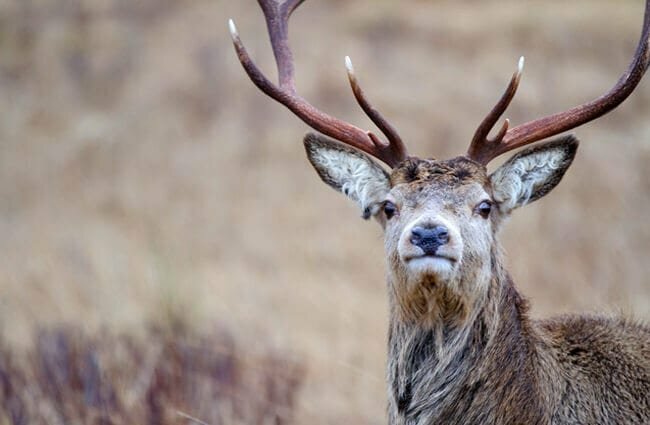 When the breeding season, also known as “rut,” approaches the males will begin to battle for dominance. Winning males will control a harem of between 5 and 15 females. After breeding, pregnant females will leave their herd to travel to the calving grounds. 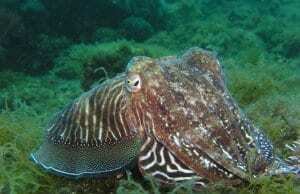 Many females will congregate together, all giving birth within ten days of one another. Most of the time, the mother caribou will give birth to a single calf, though twins have been recorded. The calf is not covered in spots like most other deer calves are. By the time the calf is a day old it is capable of outrunning a human. When the calf reaches six months, the mother will wean him off milk. 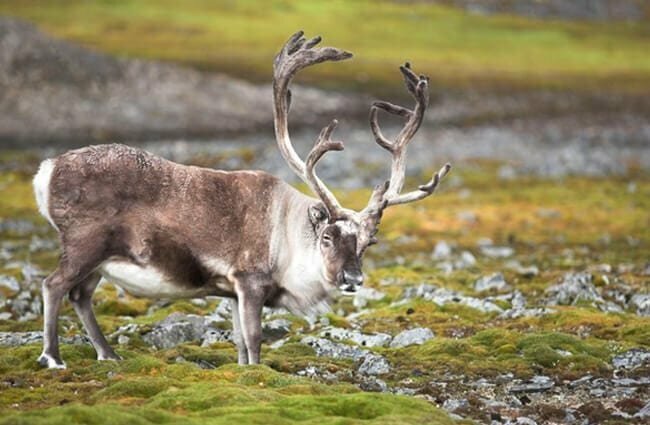 There are many tribes of people native to polar regions that rely heavily on reindeer in some fashion, as the fur, meat, antlers, and bones have all been utilized for survival. This has led to lots of mythological and spiritual stories about reindeer or caribou. An Inuit story tells of the origin of caribou, and describes a man who made a wish for caribou and dug a hole in the ground. From this hole hundreds of caribou emerged, until the earth was nearly covered in them, and the man filled the hole back in again. Bull: 350 – 400 lbs. Cow: 180 – 260 lbs.